It could cost your hotel a great deal if you only focus on adopting new technologies and forget about their interoperability. 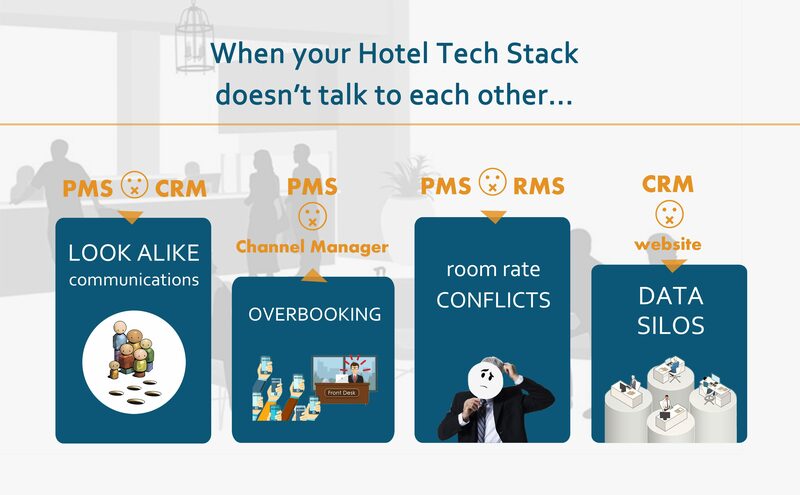 Imagine a bunch of innovative solutions working in the same hotel towards common business goals BUT they do not communicate with one another. OMG, the nightmares could become your reality! To avoid these kinds of scary scenarios, we, at HotelAppz, always demand freedom of integration and along with our partners, we have some of the best integration on the market. That way we can offer our clients innovative solutions that actually simplify hoteliers’ lives. At the International Hotel Tech Forum (IHTF) that is happening this summer, our CEO Rui Teixeira Guerra, sitting together with IT executives from Hilton, Accor, Rocco Forte, will come up with profound insights, ideas and solutions around industry’s two buzzwords: “INTEGRATION” and “AI” (Artificial Intelligence). Block your calendar from the 14th – 16th of May 2019 for the International Hotel Tech Forum (IHTF)!